Great alternative to heavy duty bundling tape. 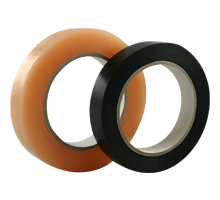 High strength and easy to apply, this durable tape can be applied on top of stretch film to provide additional security and protection during transport. Complete the table below to request a quote, or call us toll free on 1800 805 502 to speak directly with one of our dedicated customer service representatives.